The local motor manufacturing industry is set for a major boost with Chinese investors keen on partnering local assemblers to manufacture electric cars, 263ChatBusines has established. The local motor industry has seen production hit its nadir owing to capital constraints and stiff competition from second hand Japanese cars. Chinese Ambassador to Zimbabwe Huang Ping soon after meeting Transport and Infrastructure Development minister Joel Matiza yesterday told journalists that Chinese investors from both public and private sector were keen on setting up an electric car manufacturing unit. “What we are doing is to strengthen the cooperation, not only the road construction, railway construction but maybe also manufacturing cooperation, manufacturing cars that use electricity. In that way we can through our joint efforts help reduce the shortage of the gas supply in Zimbabwe but I think some issues are challenges but in the meantime they are opportunities,’ said Ambassador Ping. 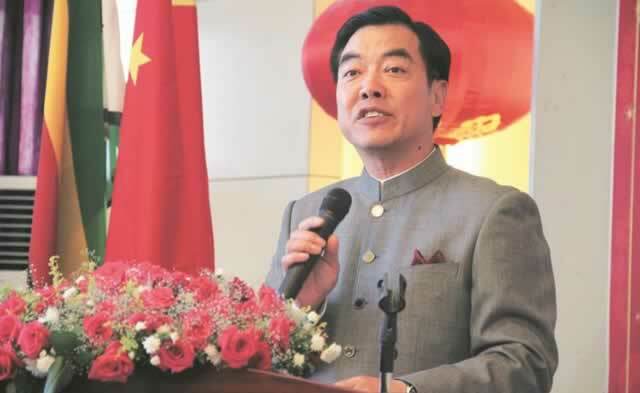 Ambassador Ping said the projects will be initiated in the medium term as part of his Government US$ 60 Billion Forum on China-Africa Corporation (FOCAC) initiative. Resuscitating the local motor industry is expected to restrict the country’s annual car- import bill of US$ 500 million. The development comes at a time when there is renewed focus on resuscitating the local motor industry with Government already spearheading the project. Last week the Procurement Regulatory Authority of Zimbabwe (PRAZ) and the Motor Industry Association of Zimbabwe (MIAZ) met to discuss ways to resuscitate the industry under the theme “Towards Vision 2030: Articulation of Strategies and Policy Position to Support Domestic Motor Industry for Competitive Advantage,” which saw key stake holders in both procurement and motor assembling make consultations on the way forward. But there are intricacies ahead. Firstly, the local market is heavily skewed towards cheaper second hand Japanese cars which have left locally assembled cars less attractive. Secondly, Government has failed to promote local assemblers instead opting to import the majority of vehicles in the public sector. This is despite Government’s 2011 directive which compelled ministries, parastatals and public institutions to buy at least 80 percent of their vehicles locally. Zimbabwe launched the Motor Industry Development Policy in 2018 anchored on promoting local assemblers and downstream value chains but since then, investor appetite remained weak. This has seen motor assemblers like Quest Motors that has capacity to manufacture 10 000 cars annually, only left to operate at below five percent capacity utilization.